What is it, and who can have it? 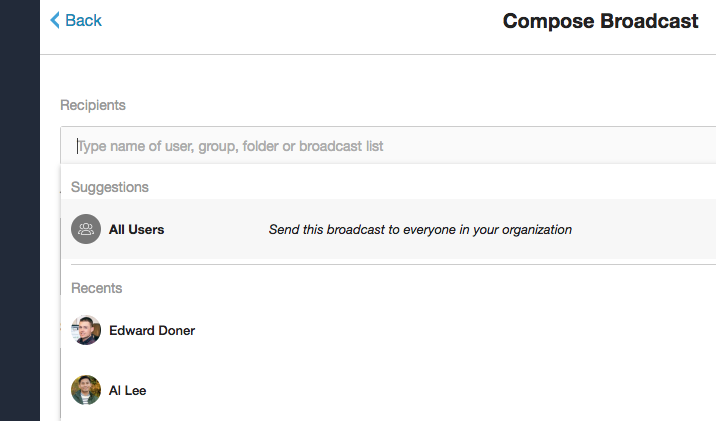 All Organization Access is an additional option available to Team Admins and Broadcasters. It allows Team Admins and Broadcasters the ability to Broadcast to any Official Group or folder without having to find the admin of that group and ask for permission. This saves valuable time for users who may need to push out time-sensitive material to an Official Group that they have not communicated with in the past. To activate All Organization Access, Organization Admins will need to grant it for Team Admins or Broadcasters. 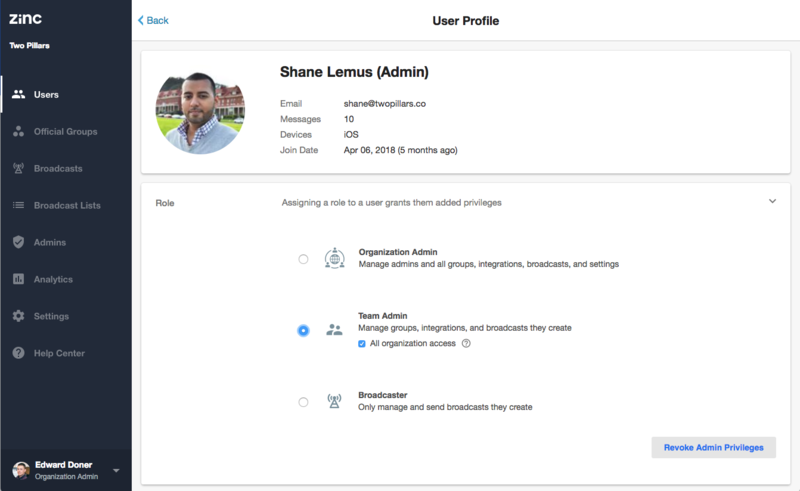 In order to do this, navigate to a user's profile from the Users tab, expand the Role panel, and click the "All organization access" check box. The user must first be assigned as a Team Admin or Broadcaster. For more detail on admin roles and privileges, please refer to this article. How is this different from being an Organization Admin?